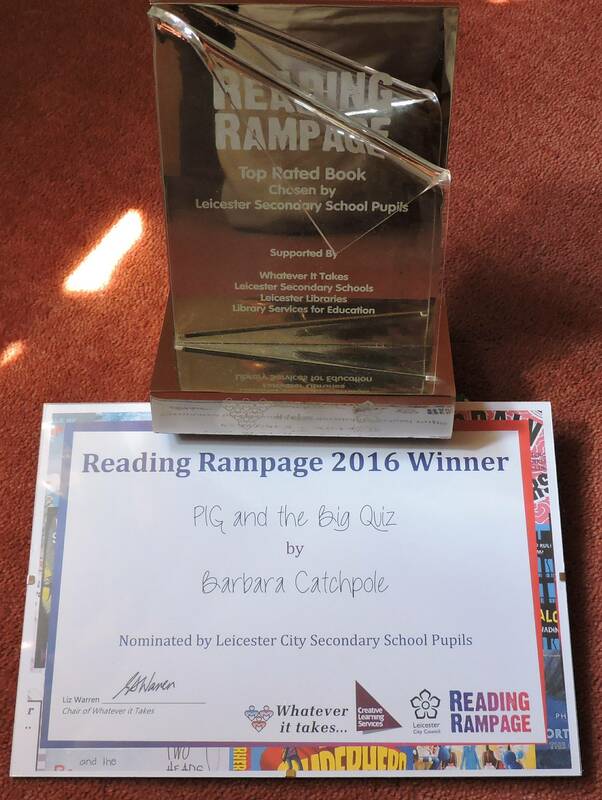 "Pig and the Big Quiz" just won the Leicester Reading Rampage Award. Raj says it's because "it's heart warming". Mum said it was because it showed you can always win if you work hard. I think it's because it's really short. Even Tiffany read it. Save the trees! Stop reading books!